The first real trial after India became the number one Test team in the world begins on Thursday at the SuperSport Park, Centurion. India has a poor record playing in South Africa with a solitary Test win in Johannesburg that came in their last tour as the only success in 12 Test matches. 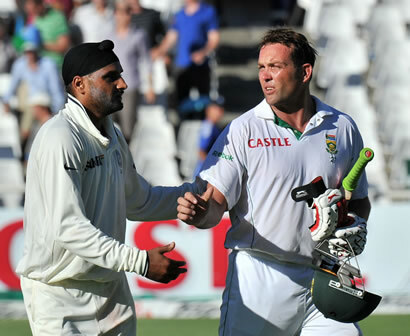 After that win in Johannesburg came the debacle in Durban where bad light and intermittent rain combined to eat up about a day’s play and at best India had to survive about 60-odd overs to save the game and head to Cape Town maintaining their lead. Instead India’s top order crumbled and the team was sent packing in just 55.1 overs. The tail fought hard and showed that a mere 10 minutes or a dozen deliveries more by every top order batsman could have easily saved the game. There are also many reasons that India should move towards embracing the UDRS as apart from the scars of that one series in Sri Lanka there is ample evidence that technology is good for the game. 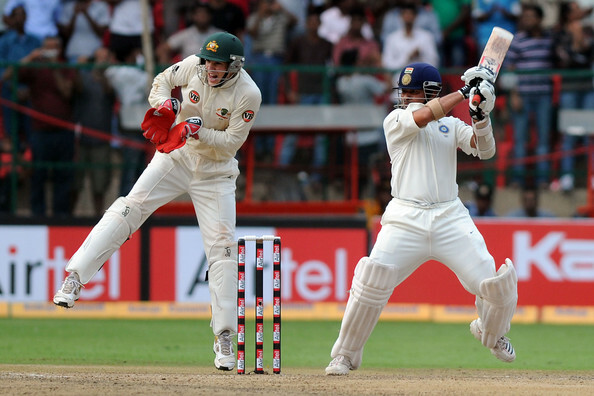 For example in the Durban clash and in the acrimonious Sydney Test the UDRS could have saved the wicket of Rahul Dravid, India’s best man when it comes to batting time, in the second innings. 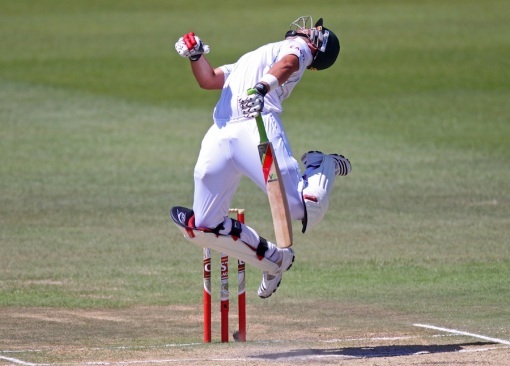 The third Test in Cape Town sealed the series 2-1 in South Africa’s favour. India began that Test with a brilliant first wicket partnership of 153 runs as they demoted the out-of-form Sehwag and Karthik opened with Wasim Jaffer. 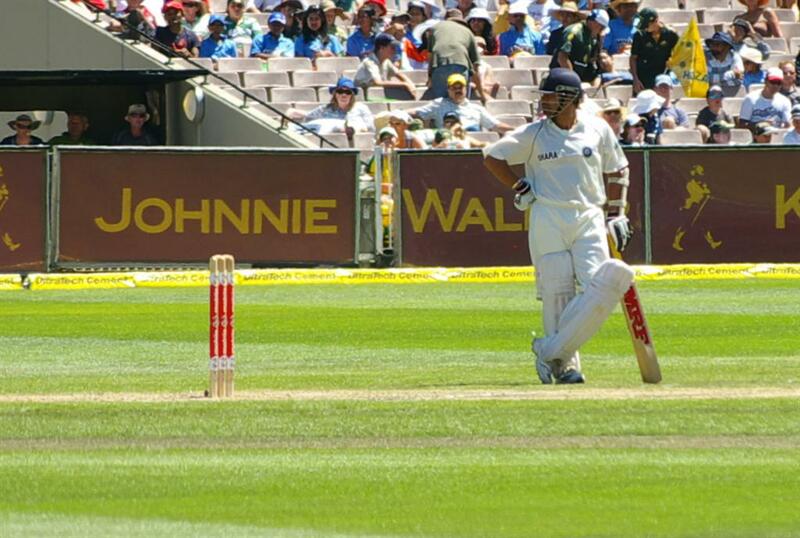 At one stage India was looking good for a score close to 500 but Sourav Ganguly was left stranded after Sehwag departed for a well-made 40 at number 7. 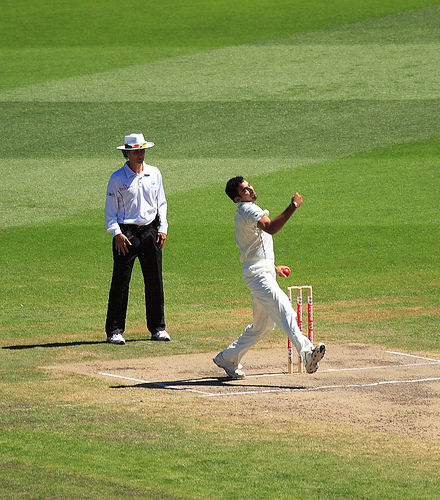 The last four wickets added just 19 runs and India was all out for 414. SA replied with a gritty 373. India then did not stick with the opening plan that had worked in the first innings and brought Sehwag back to his slot and the second innings start was a disaster with both openers back in the hut with just six runs on the board. Another woeful batting performance ended at 169 runs and South Africa was back in the driving seat. Despite some magical bowling by Zaheer Khan who took four of the five wickets to fall, South Africa successfully chased the runs with five wickets still in hand. 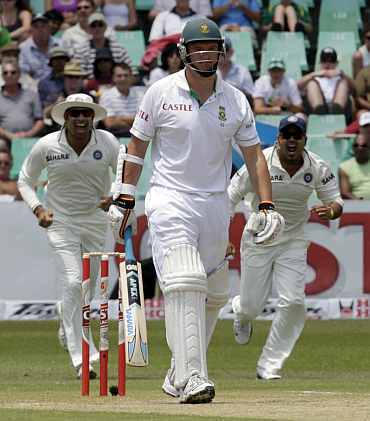 Prince and Kallis watchfully managed to negotiate a Zaheer on fire and between them played 193 balls for 70 runs. The contest this time around promises to be edge-of-the-seat as India would mentally be better positioned having played some good cricket in the past three seasons. And the presence of Gary Kirsten as the coach with his vast experience of South African conditions would double the benefit for India. If India is in a position where they can play their first choice seamers then they have some advantage and can surprise the South Africans. Having bowled well is testing subcontinent conditions tirelessly for a while now the fast bowlers would surely love some assistance from the conditions. In the batting line-up I would love to see Cheteshwar Pujara in the starting XI in place of Suresh Raina. Raina had a great start to his Test career but is having a prolonged hiccup right now and he’s still considered suspect against the short ball. Pujara has the added quality of a tighter technique and I believe he has a better chance of succeeding against the moving or the rising ball. 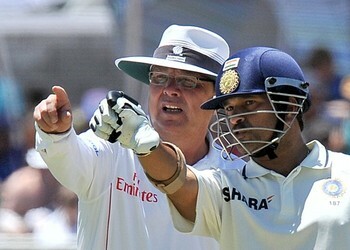 Finally it will all boil down to the engine room of this Indian team, its brilliant middle order. With a settled opening pair at the top it would be upon the veteran trio of Dravid, Tendulkar and Laxman to build the advantage for India. This is the acid test for India and it will reveal the true merit of their ranking as on current form Australia is a relatively-easier challenge than the number two ranked Proteas. This is a tough tour but India come to it with perhaps its best team that is also high on confidence and the next few weeks would reveal if they can break the South African jinx.